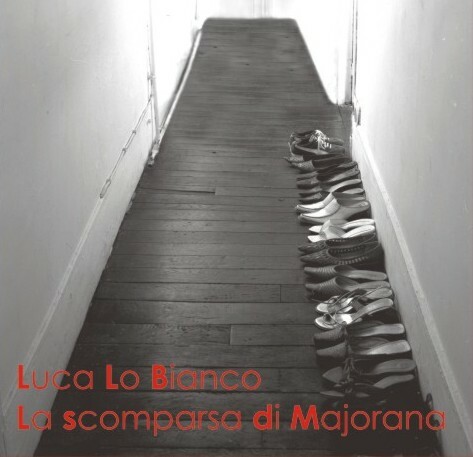 SR0604- LUCA LO BIANCO: "LA SCOMPARSA DI MAJORANA"
L. Lo Bianco (bass and electronics), F. Nemeth, M. Cafiero, M. D'Aleo F. Gianbanco (drums), C. Gioè, R. Tedesco (Actors), G. Gebbia, G. Palazzolo, O. Maugeri (sax), G. Meli (Voice), F. Guaiana (guitar), M. Schiavone (piano). The work is freely inspired by the book La scomparsa di Majorana (Disapperaing Majorana) by Leonardo Sciascia and following the thesis of the writer about the disappearing of the sicilian physician Ettore Majorana (born in 1906, 100 years ago) it develops creating musical suggestions directly linked to the text. The story told in this CD was freely inspired by the book The mystery of Majorana by Leonardo Sciascia and it embraces the intriguing thesis advanced by the writer about the disappearance of the great physicist Ettore Majorana. The story develops during a period of great scientific enthusiasm and it proved to be topical for its complexity. As a result Majorana goes down in history as a brave and brilliant man who probably decided to disappear, being face to face with the insight of the disastrous potential of nuclear research and laying down the details of his plan with extreme efficacy. Sciascia and Majorana both express a way of being Sicilian, two complex, sincere and extremely severe characters, the former for his painstaking research of another possible truth the latter for his rejection of a science he carried as a secret in his inner being. Two men who accept the consequences of their actions with an exemplary strength imbued with an inescapable awareness, after choosing as a leading principle of their behaviour the rejection of an imposed reality. The driving idea for me to conceive this project, which has also become a performance, is one of putting into place a real synergy between music and text, making the sound an integral part of the narration.